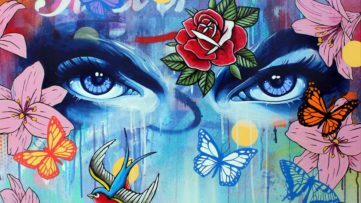 Apart from offering human kind the possibility to express its imaginative and technical skills, art has also evolved to become proper trading business. As such, it has a market of buyers and sellers, but it is the certificate of authenticity or COA that represents the most important aspect of the circulation of artworks today. 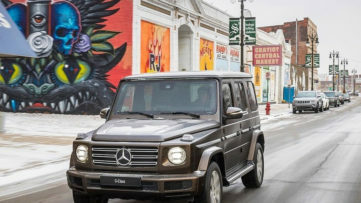 Over the last century in particular, the certificates have allowed the works of art to be positioned as branded products, serving as their deeds, legal statements and fiscal invoices. However, as art itself shifted and developed, the certificate of authenticity has too, giving way to a bountiful of forgeries in order to increase the sales. 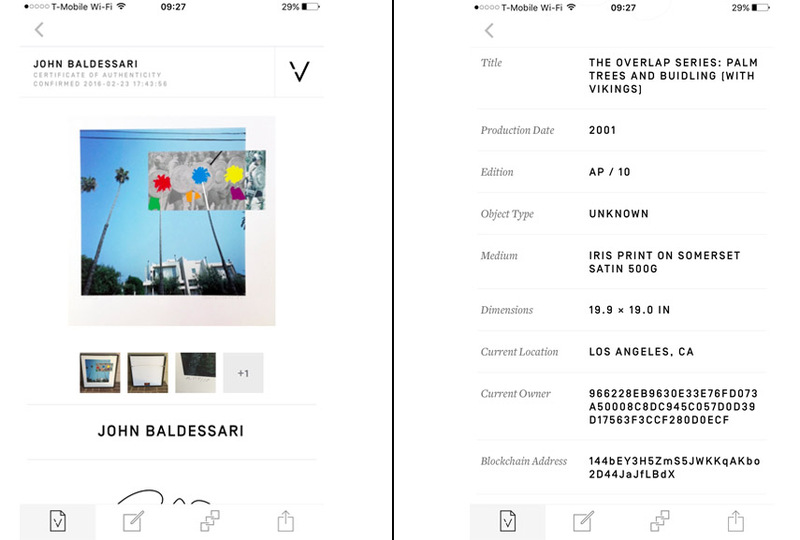 Even though the art world is still waiting for a universal, centralized database that could perhaps be digital too, a genuine COA is nevertheless something that should accompany every professional artwork out there, without exceptions, providing all the necessary information for the buyer and holding the artwork’s value. 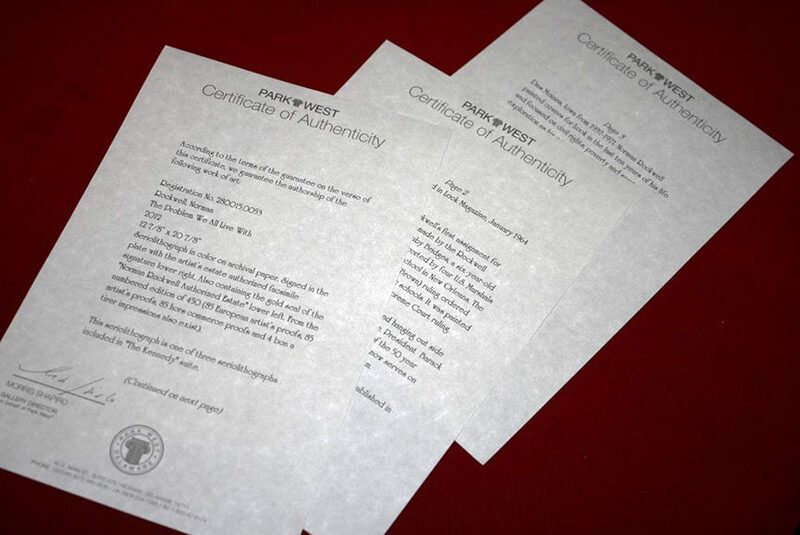 What is a Certificate of Authenticity in Art? For any product we buy in general, we need some sort of document to prove its provenance, quality guarantee, the brand or an individual that produced it. The certificate of authenticity for an artwork is a document that contains these facts and it is essential for all sides of the trade. COA is created by the artist, or someone who is an expert of their oeuvre, to help the collectors prove it is genuine and verify its quality. In the world of fine art, a piece accompanied by a COA os one that is made by a professional, practicing art-maker, making a clear distinction from amateur work and attributing a potential collectable value to it. 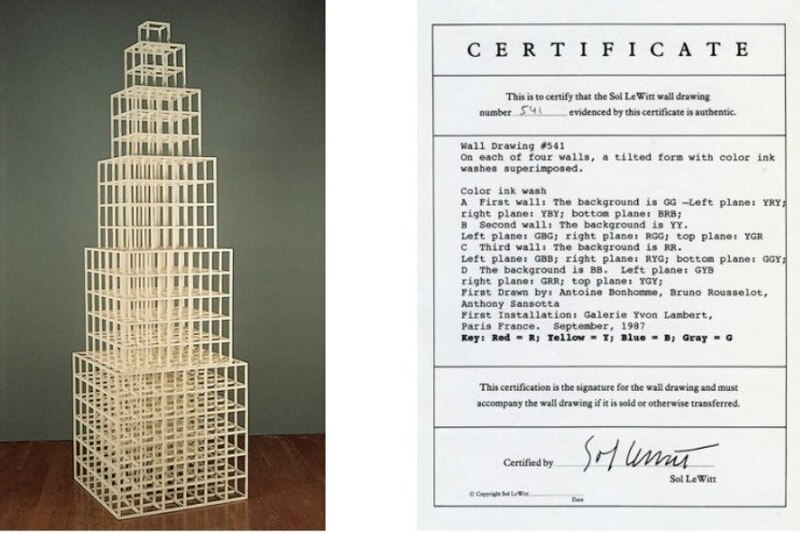 Simply put, the certificate provides credibility and it could be considered a promise that the piece in question is made of proper materials and is meant to last long in the hands of its new owner. Legally speaking, it declares the author as indisputable and protects them from fraud and copyright infringement on an international level. 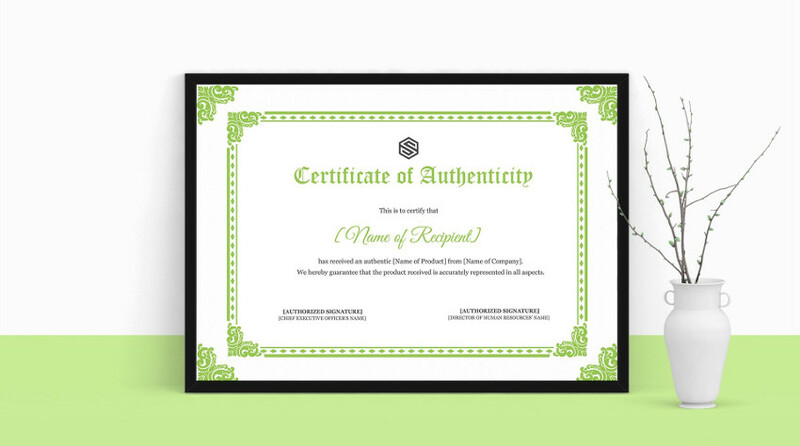 A certificate of authenticity is usually provided at the time of sale, no matter whether it is bought from the artists themselves, other collectors or art institutions such as galleries, museums, institutes. It serves as the only reliable sales receipt, and not only should it be present along with the piece – it should also be complete and containing all the information to describe the work in question. Without these two factors, many frauds find space to create their own, fake COA, particularly when it comes to online art market. In this case, it is important to mention that digital certificates are also valid, as long as they’re as detailed and, well, genuine. What Should a Genuine COA Include? A valid COA in art comprises of specific details about an artwork. First of all, as mentioned earlier, the best author of a certificate is the artist who made the work. However, if this is to be someone else, then it is more likely their publisher, dealer or agent, someone who is a good connoisseur of their work and style. If this is the case, the COA should provide their name, full and current contact details and the nature of their relationship to the author. In any case, the authors of certificates should be traced easily at any moment, preferably by their location and websites, should a necessity for that arise. If there are people or companies involved in the artistic production, they should be cited as well. Next, there is the full, exact title of the piece and the date of completion. Depending on the medium, there can be different dates: for paintings and sculptures, for instance, there is the one date, while for prints and photographs, there is the date of completion of the original, the date of that particular print edition, and the date of signing the print. From these, art historians can understand the timeline of someone’s career and give a better insight into their oeuvre. Another important item of the COA is the medium, or all the materials used in the creation of the piece in question. The more precise these are, the more they help their owner with conservation in order to ensure longevity and preserve quality; at the same time, they provide information on the creative process itself. For prints of an original artwork in another medium, both the medium of the original and the one of the print should be listed. This can include the type of paint or ink, the printing device, type of canvas or paper, as well as source, weight and any pertinent or known archival properties. Preferably, the certificate should also contain an image of the artwork as well, for comparison. Next to this, we have the dimensions. If the artwork is framed, the certificate will likely state the dimension of the piece itself, as well as the size of it with the frame. If it is not, the precise information will help the owner pick the right frame. The buyer can also check whether the piece dimensions have been altered since its completion, in order to avoid fakes. 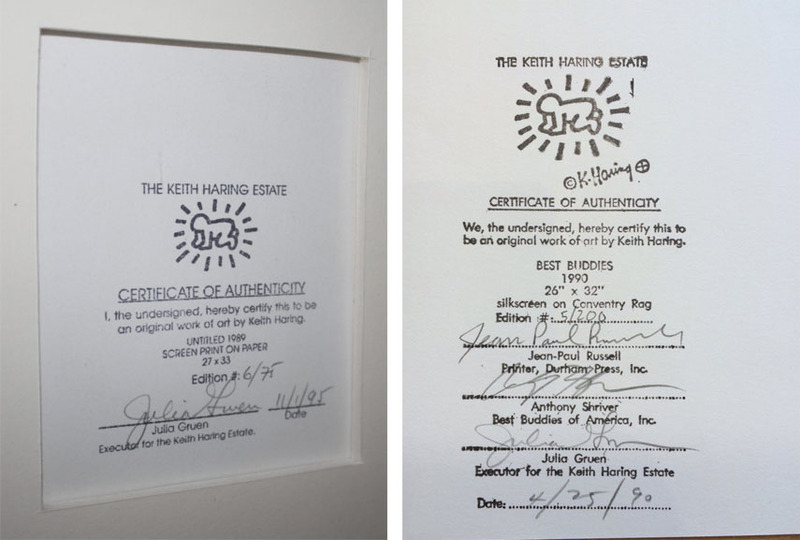 When it comes to single pieces of art, the certificate of authenticity is easily defined. For prints or artworks that come within an edition, there are a number of additional details that should be noted. In these cases, the COA will include the number of that particular print within the edition and the edition size; if this is the 4th print out of 10, it will say 4/10, letting us know that the edition is limited. If it’s is an open one, on the other hand, meaning more pieces can be produced at any time, this will be stated as well. 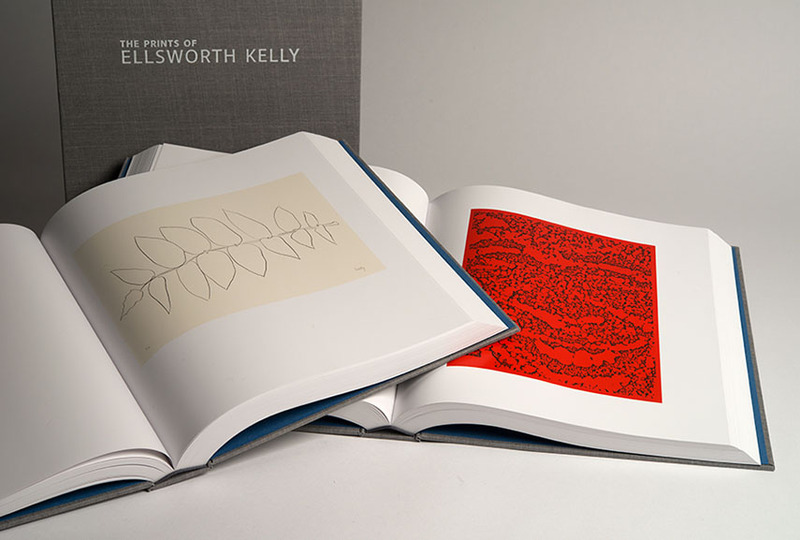 The document should also provide information on the number of prints and proofs within that are signed and numbered, only signed or only numbered; whether the edition is a restrike or posthumous; whether it is a part of a series of editions, such as artist proof, press proof, transfer etc. ; the status of the plate or master, such as whether it is destroyed or on file – if the master has been destroyed, the edition truly is limited; and so on. If the printmaker is not the artist themselves, their signature should be present as well. 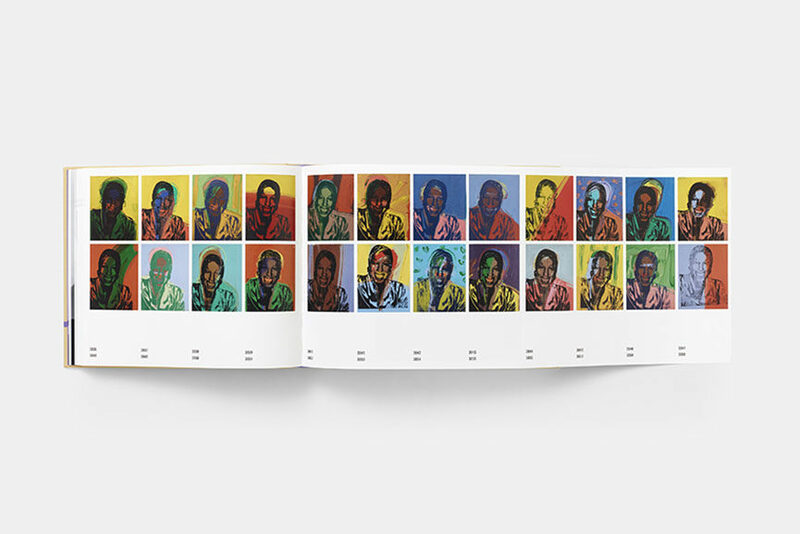 All limited edition prints by well known artists are documented in books called catalogue raisonnée. If such book exist for a certain individual, the corresponding catalogue number or entry for an artwork in question is noted on its certificate of authenticity. Apart from this, there could also be information on previous owners, names of dealers, galleries and even auctions that sold it. Certificates of authenticity in art have often caused controversy in the past few years, due to online auction sites where sellers are providing fake COAs to market or sell their artworks. Because currently there is no official body or legal binding for these documents, it is important the buyers inspect them thoroughly before the purchase. Furthermore, not all COAs are created equal: nowadays, an artist could get a free template on the web to create the certificate, which is also considered valid, but it is the buyer’s responsibility to make sure it contains all it should. Many fake documents have no contact details of the person selling the item – or if they do, they’re incorrect or misleading. The buyer should also never accept incomplete or photocopied certificate, or illegible signatures or information in general. If the information provided is in any way indirect, conditional or assumptive, containing phrases such as “in our considered opinion…” or “we believe that…”, such piece of paper should be avoided, as the only valid COA is one stating conclusively that the art is by the author whose signature it bears. Even though the offence of issuing such certificates is punishable by law and even carries prison sentence, it is always recommendable to be safe than sorry, which is why buyers, and artists, are always advised to take the risks to a minimum in a joint effort, and keep the integrity and value of artworks at a level they rightfully deserve. 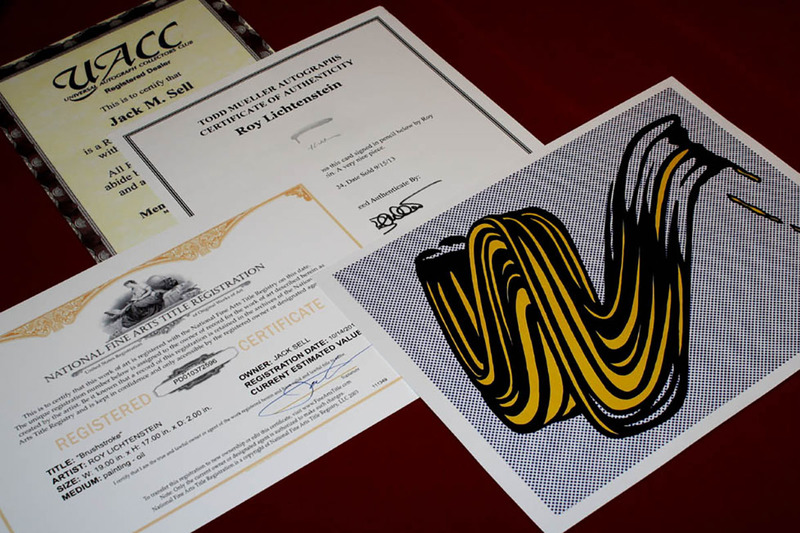 Featured images: A COA for Roy Lichtenstein’s Brushstroke artwork. Image via ebay; From Andy Warhol Catalogue Raisonné Collection, image via phaidon; An example of COA for Norman Rockwell, issued by Park West Gallery. Image via ebay. All images used for illustrative purposes only.